CBC Searchlight Voting Begins — New Single "Poison Rose" Available Now! Rebecca Lappa is competing in this year’s CBC Searchlight completion. Starting Tuesday, Feb. 5, Round 1 of Searchlight 2019 officially opens. 50 of the top 100 artists will make it to Round 2 based on votes and the other 50 will make it through by internal judging from CBC Music producers. Please take the time to go to www.cbcmusicsearchlight.ca where all the entries are now listed under "Artist Entries." Each artist video will have a button to vote, along with options to share the artist’s page on social media. 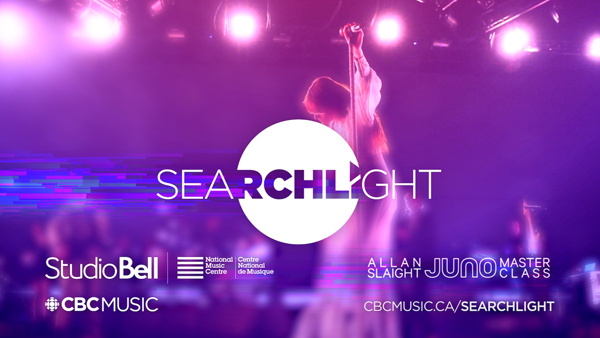 When sharing please remember to include this year’s hashtag #Searchlight2019. You can also tag us @cbcmusic to let us know who you're voting for.